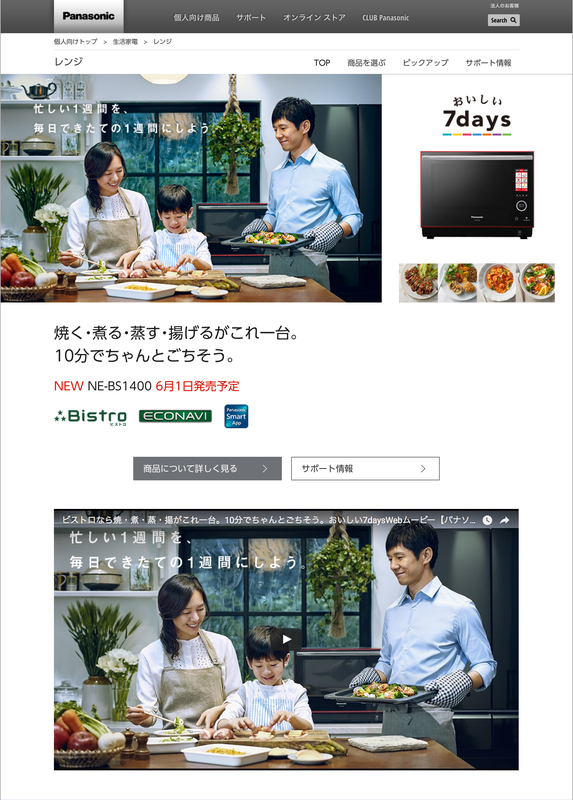 Panasonic’s home appliance campaign “Oishii 7days Bistro” (Food Bliss 7 Days Bistro). Our work in this project, similar to the “Fudan Premium” ads, involved visual concept creation, space direction, and interior styling. The campaign ran on multiple media including posters, website, TV commercial, and digital signage in commuter trains.